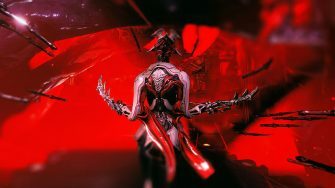 Garuda is a tank Warframe with excellent scaling on her abilities that allows her to take on endgame content easily. 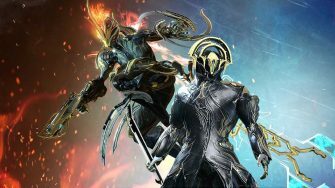 In this build guide, we’ll share two different builds: One with 0 Forma and one that is fully Forma’d. Both of these builds are viable for almost any level of content and try to take advantage of Garuda’s strengths. It’s worth noting these are ability intensive builds so you can consider a tankier setup if you prefer using your guns over your abilities. Arcane Guardian is an excellent addition to this build to increase tankiness. This first build requires 0 Forma and is an excellent all around build that will serve you well in both low and high level content. 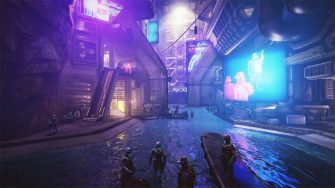 We’ve made some changes from traditional builds you might see on sites like Warframe Builder or YouTube, most notably removing Umbral Fiber and Adaptation . 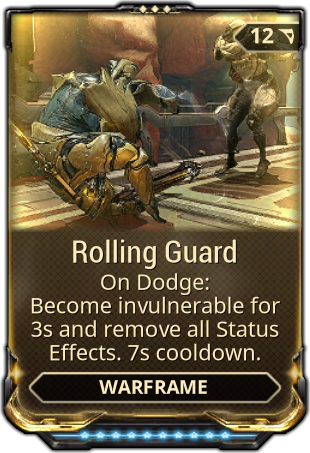 Instead we are using Rolling Guard as our primary tank mod in addition to the typical Quick Thinking + Primed Flow combo. We’ll discuss why we went this route in a bit more detail soon. 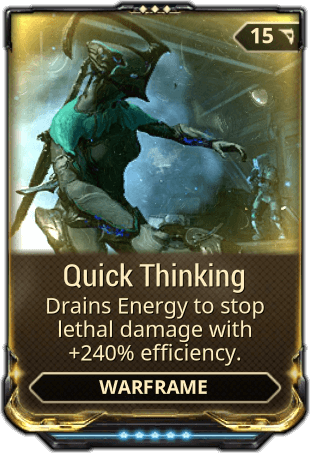 Quick Thinking is a staple mod in any Garuda build as it turns your energy into a backup health bar once you hit 2 HP. This synergizes with Garuda’s third ability, Bloodletting, which reduces your health by 50% of its total to restore energy. 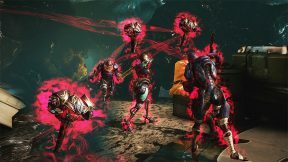 Since the ability reduces health based on total possible health rather than the current amount, it will bring your Warframe’s health down to 2 if you have less than 50% remaining. Without Quick Thinking, any Slash or Toxin proc will kill you instantly and your low overall health pool makes you an easy target. It’s a must-include mod in our opinion. 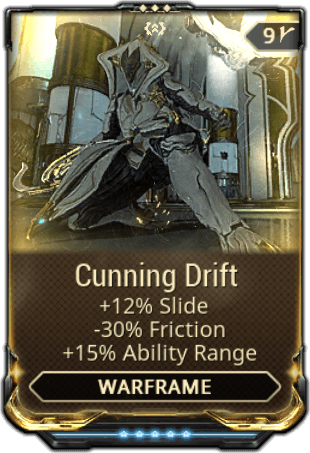 Primed Flow assists the overall strength of Quick Thinking and Garuda’s third ability. 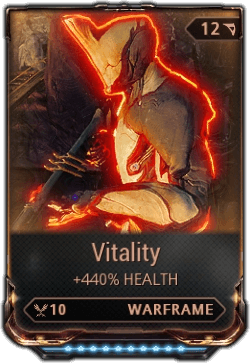 Since Quick Thinking uses your energy as a backup health bar, having more energy is effectively the same as installing Vitality on your Warframe. Additionally, Bloodletting restores a percentage of your total energy meaning a higher energy pool restores more energy per use. This is important for the next utility mod we’re using: Natural Talent . 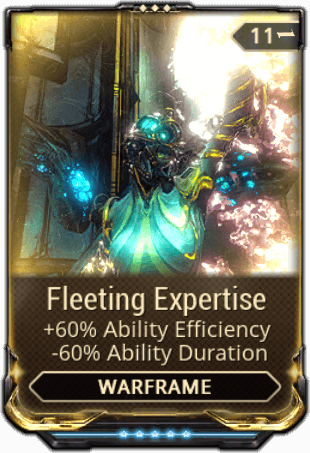 Natural Talent is always a difficult mod to slot into any Warframe because it doesn’t affect any stats directly. All it does is decrease the animation times on your abilities as well as the charge length for Garuda’s fourth ability, Seeking Talons. However, there is a serious benefit to Natural Talent in this build: It allows you to spam Bloodletting to regenerate energy swiftly. Normally when you play Garuda, you have to be cautious when using Bloodletting because it decreases your health and temporarily locks Garuda into a brief animation. Even with Quick Thinking , you still have to be cautious because Quick Thinking staggers you if you’re hit by a strong attack when using energy as health. At higher level content, you can die almost instantly due to this stagger. This is where Rolling Guard comes in. 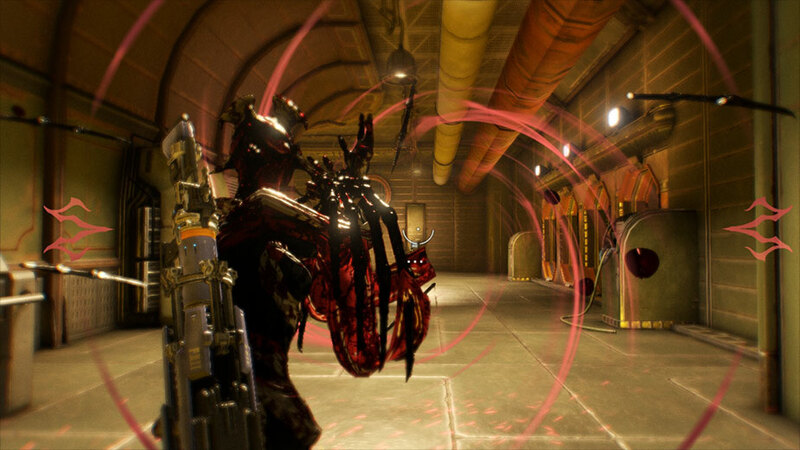 Turn an enemy into a Blood Altar (Garuda’s second ability) so you have a constant source of healing. Roll while inside the Blood Altar’s heal radius so you become completely invulnerable. Use Bloodletting 3 times in a row while invulnerable to regenerate ~300 energy instantly. You can repeat this each time Rolling Guard comes off cooldown meaning you have an endless flow of energy. Without Natural Talent, you won’t be able to use Bloodletting 3 times while invulnerable. The primary goal of most Garuda builds, including ours, is to achieve 200% Ability Strength. This is because Garuda’s fourth ability, Seeking Talons, marks enemies that are hit. Any marked enemies have a chance of proc’ing Slash status when you hit them with any ability or weapon. 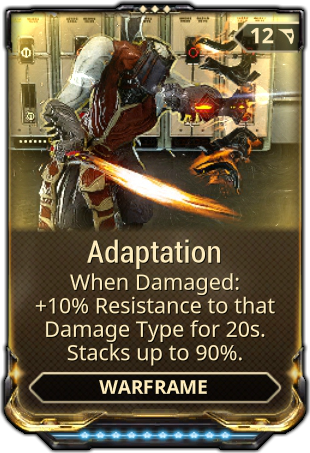 If you have 200% Ability strength, the bleed status chance reaches 100%. These Slash procs deal absurd damage and scale to almost any level of enemy. The second priority is to keep efficiency above 90%; Anything below 90% and it becomes difficult to use abilities frequently. Efficiency affects not only ability energy costs but also how much energy Bloodletting restores. It’s worth noting that you can likely get away with lower efficiency if you have a Rank 3 Arcane Energize. Lower efficiency is also fine if you like to focus on gunplay over abilities. Our last priority is to go as high on Range as possible for Dread Heart’s (hold down first ability) explosion radius and Blood Altar’s heal radius. Dread Heart can completely wipe out enemies at any level if combined with Seeking Talons so having higher range is useful. 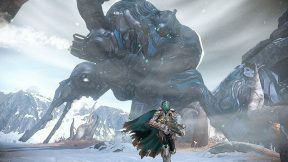 Ability duration is not a high priority as each of Garuda’s abilities last a long time at base duration. Try to keep it above 60%. There aren’t many differences between this build and the 0 Forma build. The fully Forma’d build is tidier as it can afford to use Umbral Intensify + Transient Fortitude over Blind Rage + Fleeting Expertise . 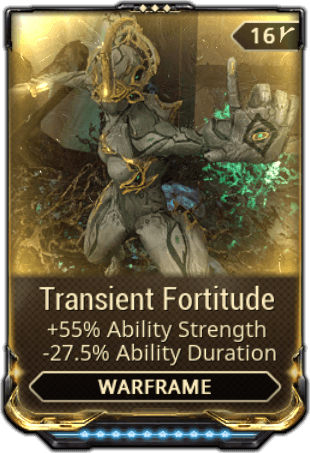 Both of these mod combinations provide 199% ability strength, but Fleeting Expertise sacrifices 60% duration while Transient Fortitude only sacrifices 27.5% duration. The 5% efficiency difference is far less important than the additional 32.5% duration. 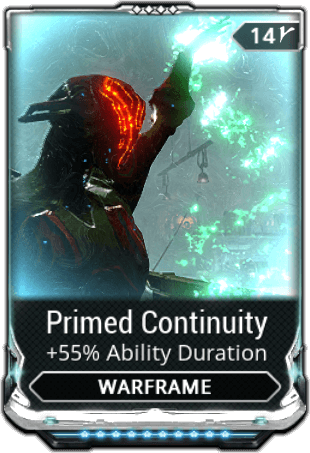 Saving 32.5% duration means you can either ignore including any mods for duration altogether or you can include Primed Continuity for a high duration build. The benefit of a high duration build is it’s far easier to keep your abilities active at all times. However, we designed this build for using your abilities frequently so we prefer to ignore duration and instead go for additional range with Augur Reach . 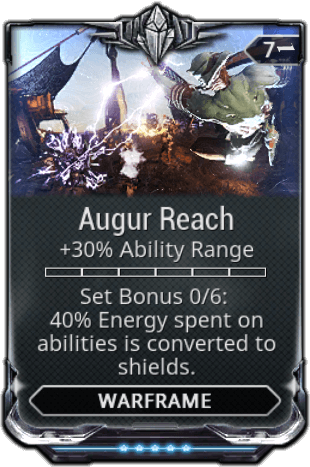 Feel free to replace Augur Reach with Primed Continuity if you prefer. 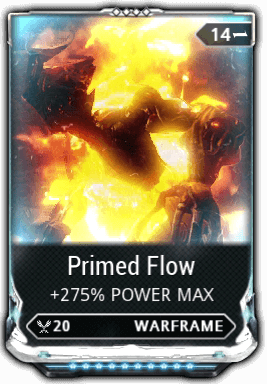 The other benefit of a Forma’d build is you can afford to include an Exilus mod. We recommend Cunning Drift , Power Drift or Pain Threshold depending on your preference. Cunning Drift is great if you like spamming the Seeking Talons into Dread Heart combo. We recommend using it if you opt for Primed Continuity over Augur Reach. 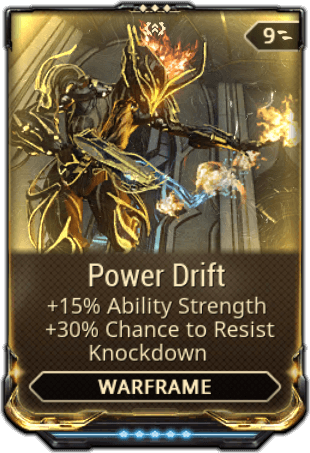 Power Drift guarantees over 200% Ability Strength for 100% bleed chance while also providing some resistance to knockdown. Lastly, Pain Threshold reduces stagger time from Quick Thinking which can save your life. 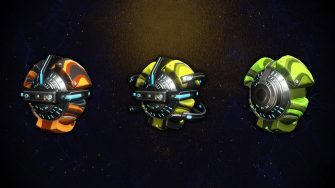 Note: If you are playing on PC, we highly recommend binding your first and fourth abilities to your mouse. Both abilities allow you to move when charging, but movement can be difficult if you have to use one of your fingers to hold down the ability key. Using the abilities from the mouse lets you move freely. These builds are not intended to keep Garuda at 2 HP at all times. However, you can keep her HP at 2 in any standard mission with enemies below level 40 and use Seeking Talons to kill everything. For higher level content, you’ll want to use Seeking Talons + Dread Heart to clear mobs quickly. This combination scales well at any level so the damage boost from low health is unnecessary. 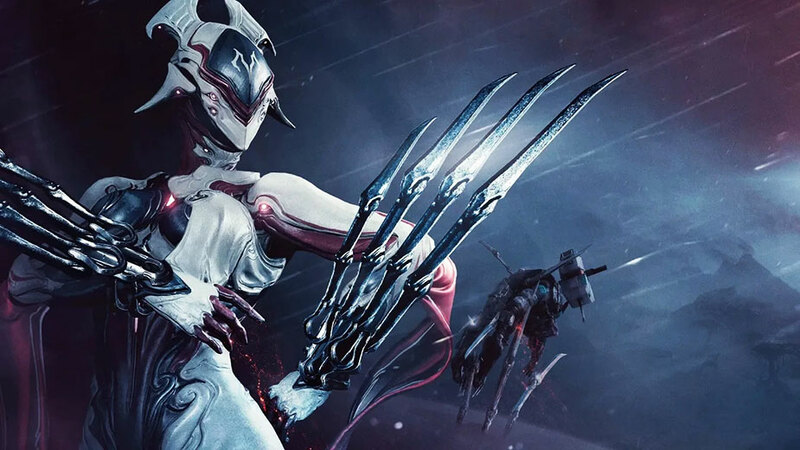 However, you can still use Garuda’s passive damage buff by activating Bloodletting multiple times, rolling and then using an ability or weapon. This will keep you completely invulnerable while you have low hp, allowing you to focus on DPS instead. You can easily gain HP back using Blood Altar. Always remember that you can use Rolling Guard to regenerate HP or energy with Blood Altar and Bloodletting at any time. You can also use Magus Elevate to restore HP for Bloodletting which is excellent if you can afford it. Finally, we recommend always keeping Dread Mirror (first ability) active since it mitigates a lot of damage and allows you to use Dread Heart when needed. The more you play with Garuda and this build, the more comfortable you’ll become with the synergy between her abilities so don’t stress if it’s difficult to keep track of everything at first. Many Garuda builds have Adaptation in them which we tried, but didn’t like. In our experience it can be difficult to keep Adaptation fully stacked in higher level content. Endgame content has a tendency of killing you very quickly even with damage reduction so avoiding getting hit at all is a priority. Furthermore, Dread Mirror blocks a significant amount of damage and doesn’t refresh Adaptation stacks so we found Rolling Guard to be a better tank option for us. Garuda has a high base armor stat at 300 and has incentive to increase her armor value since Quick Thinking factors in armor. 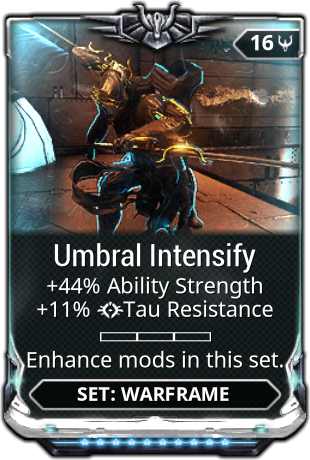 More importantly, however, is that Umbral Fiber increases the effectiveness of Umbral Intensify from +44% to +55% Ability Strength. 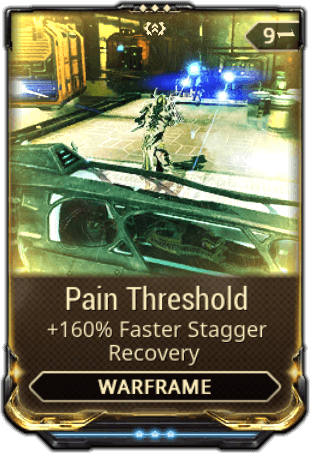 This allows you to reach over 200% ability strength with Transient Fortitude , providing guaranteed bleed chance on Seeking Talons. 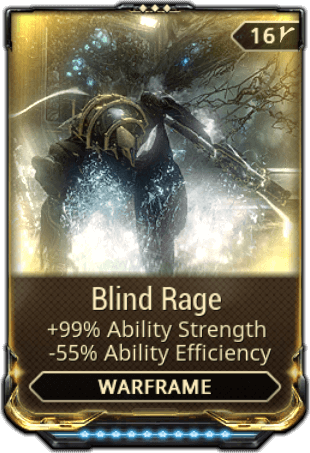 In our opinion, 199% Ability Strength is fine (Umbral Intensify + Transient Fortitude) and the extra tankiness from this mod felt unnecessary so we opted to remove it from the build. 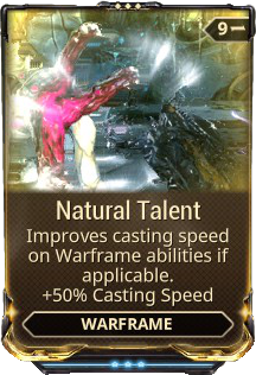 Natural Talent is a difficult mod to include in your build as it has zero impact on Warframe stats. If you intend to use your guns more than your abilities, consider swapping out Natural Talent for another tank mod or a range mod. Additional range doesn’t help Seeking Talons, but it does increase the heal radius of Blood Altar and explosion radius of Dread Heart. 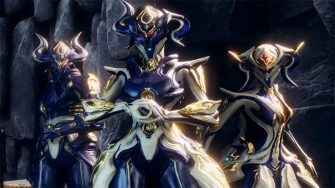 Garuda is a strong Warframe in higher level content because her abilities scale to any level. 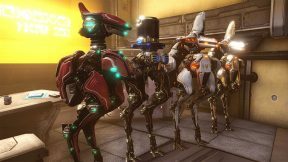 There are better options if you’re looking for a pure “nuke” or pure tank / support Warframe, but Garuda fills a solid role in-between the two. 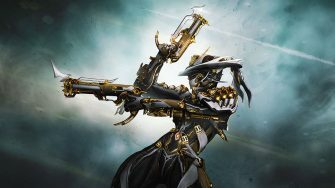 One benefit Garuda has over nuke Warframes like Saryn is that she can deal high single target damage thanks to her passive and how Slash procs work. Let us know what you think and feel free to share your builds in the comments below! Good stuff, I like the detailed reasoning behind the build(s) and options given. Thanks for this build man, I was really looking into some Garuda builds but it’s not a frame that many people play and has such a different combination of mods that I was getting very lost. I’m really not a fan of rolling guard, would a defensive mod like steel fiber still do the job? 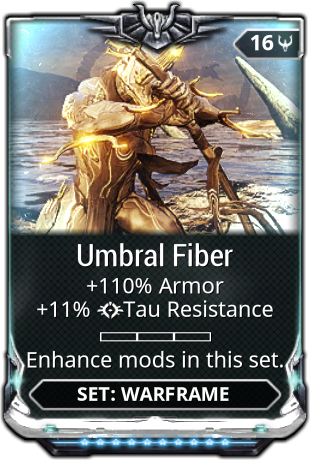 You can use Umbral Fiber / Steel Fiber or Adaptation instead – most builds do, but I’ve found Rolling Guard preferable personally so worth giving it a try if you haven’t. Good luck! Garuda can kill any level of enemy thanks to first and fourth ability combo: It’s just a question of survival. If you start getting into absurdly high levels, you may want to build for a bit more duration (e.g: take the Primed Continuity advice we provided under Forma build section). This way you can keep Dread Mirror up 100% of time (and use Rolling Guard to renew it when you have to either use Dread Heart or it runs out of duration). You’ll have to position yourself in such a way that most enemies only approach you from one side. Keep in mind this is only for when you get up to levels where enemies can one shot you even through Quick Thinking. EDIT: Also sorry for delay before your comment came up – Our pages are setup to be completely cached for 2 hours, but have changed that for now. Deleted your duplicate comment. Thanks for the 0-forma build too. this article plus farming Garuda are super helpful!